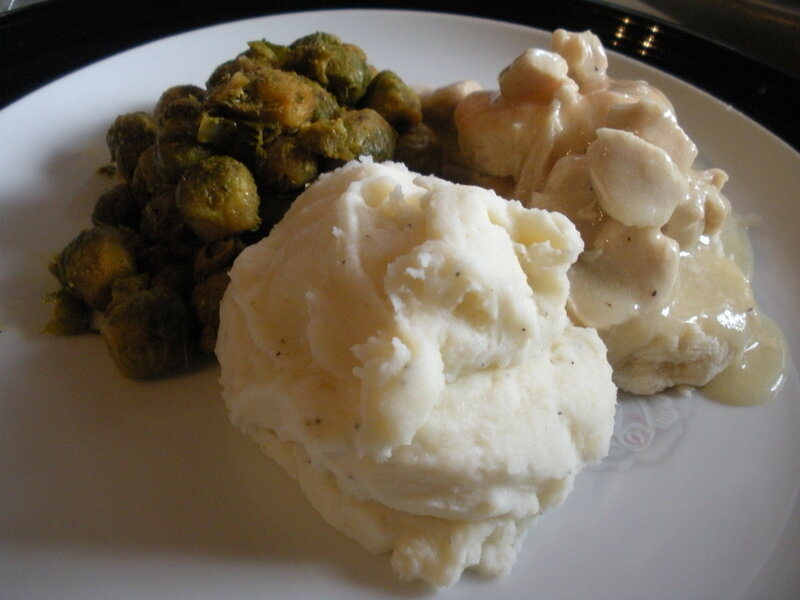 These mashed potatoes are the best ever! What makes these mashed potatoes so good? Simple ingredients, simple preparation and fantastic results! You’re gonna love them! Mashed potatoes are only as good as you make them. Start with good, fresh cooking potatoes like russet or Idaho. One of my secret ingredients is heavy whipping cream. The HWC really adds a lusciousness to the mashed potatoes. I also use half and half as my other liquid. I don't use as much half and half as HWC. Another secret ingredient is onion powder! Not enough to make your potatoes taste oniony - just enough to ramp up the flavor. Add your S & P and then taste, taste, taste. Always taste you food before you give it to someone else to eat! That was a rule I learned in culinary school. It's amazing how many people fix food and don't taste it. Don't be one of them! Peel, cube and rinse potatoes. Add potatoes to a 6 qt stock pot and add cold water to cover about 2 inches over the cubed potatoes. Cook until done. Potatoes will be tender and fall apart. Pour boiled potatoes into a colander. Drain. After potatoes are drained put into a large mixing bowl. Add softened butter and mix into potatoes. 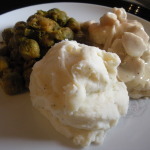 Whip potatoes using a hand mixer or potato masher. Add salt, pepper and onion power. Add HWC and half and half in ½ c. increments. Once you are close to having enough liquid, add additional liquid needed in smaller amounts so you don't add too much liquid. Taste potatoes and adjust seasonings. This recipe is for full fat mashed potatoes. The kind you fix every once in a while, so it's ok to splurge by using butter and HWC if you want to. Everything in moderation. To make a healthier version use fat free chicken broth in place of HWC and half and half. You can also just use less butter, cream and milk.